Harvey & Brockless is a leading distributor of cheese and speciality foods – to hotels, restaurants, retailers, food manufacturers, contract and event caterers. From small artisan producers to well-known brands – a vast range of products to suit all requirements. The business is structured so that there are experts in each area – from cheese to chocolate – and time is spent selecting products directly from the producers or growers so that this knowledge can be passed onto customers. Harvey & Brockless also creates bespoke products for specific customer requests – olive combinations and sauces. The team work closely with consultant chefs to develop recipes and show how products in their range can be used effectively in recipes or merchandised in retail environments. 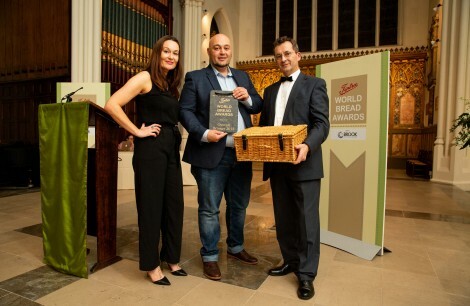 Harvey & Brockless is pleased to be supplying Perl Wen for the Tiptree World Bread Awards – a deliciously creamy, organic Brie-style cheese with a citrus centre – made by Caws Cenarth, from Fferm Glyneithinog in Wales.